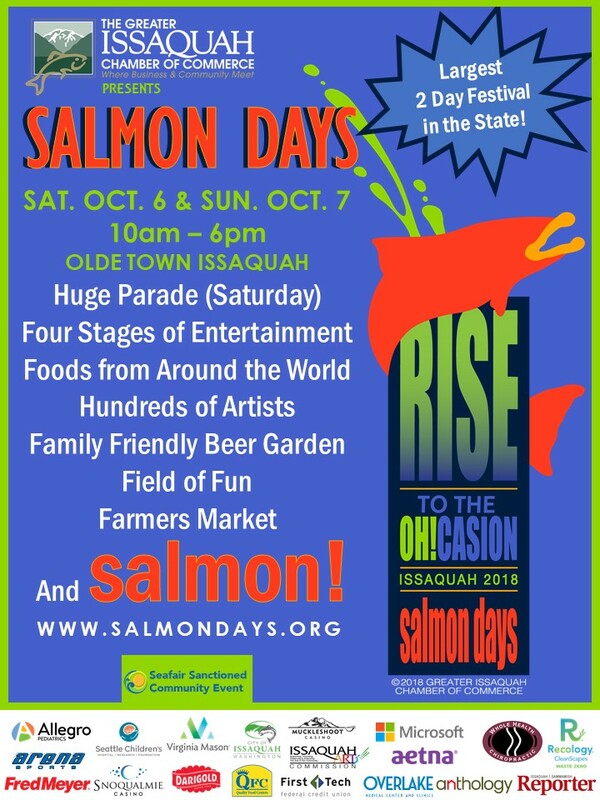 ​Come celebrate the return of the Salmon at Issaquah Salmon Days! 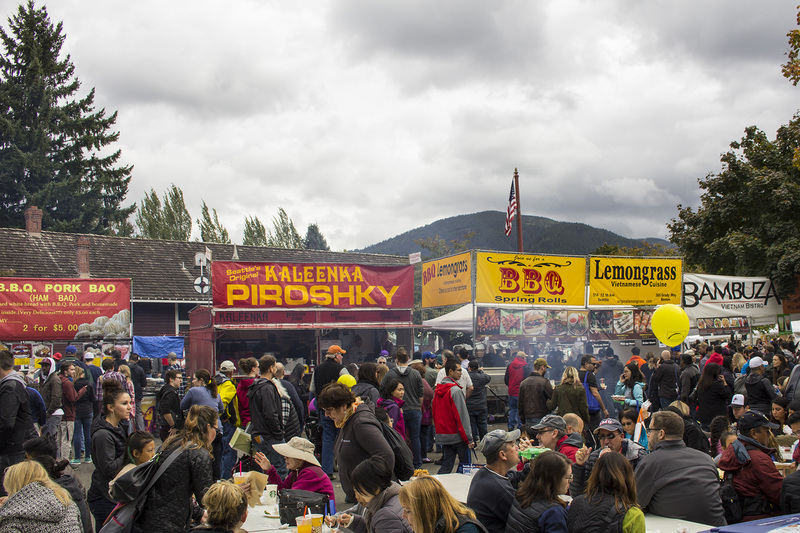 Salmon Days is the largest community festival in the state, which regularly draws 150,000 to 200,000 visitors a year. Initiated by a parade, welcoming the return of the salmon to their birth-waters, you can even watch them jumping up-river at the Salmon Hatchery. In addition to watching the Salmon head to spawn - some exciting attractions you will notice - but are not limited to - is the Kiwanis salmon barbeque, Grande Parade, beer garden, carnival, and all the vendors (over 400!). Salmon days is always growing and evolving so join in on the celebration of the salmon returning home. We hope to see you this year!